1,Advanced technology: industrial endoscope uses the latest transistor CCD camera and high-brightness LED light source technology,which contribute to bright video images ,clear image display, vivid color, high resolution. 2,Strong liquid resistance: strong water resistance from the end of the probe to the handle,and mineral-resistant,synthetic lubricants-resistant,aviation fuel-resistant,kerosene-resistant,gasoline and diesel oil-resistant. 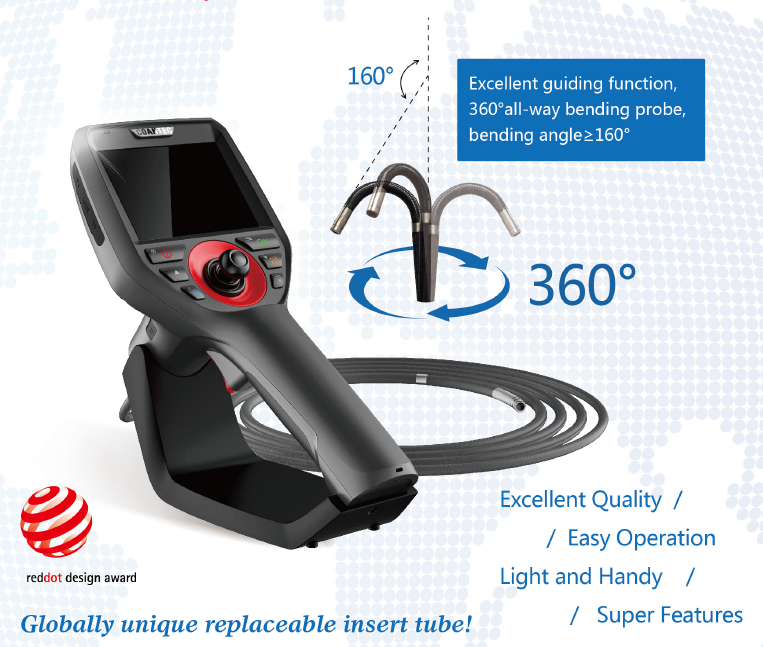 3,Economical and Practical: industrial endoscope cost-effective, value for money, whether the price or performance of coantec industrial videoscope in the market are highly competitive.As for pipeline testing,precision instrument testing and automotive testing,coantec industrial videoscope is your first choice. 4, Easy operation: Equipped with an external rechargeable battery and portable high-definition color LCD display,which is great convenient for outdoor use for a long time;and can be connected with external display. 5, Durable: new high-strength titanium alloy probe who's wear resistance is 100 times that of ordinary stainless steel,to solve the damage problem during the use.